GIF or Graphics Interchange Format is an image that moves and is often used on web pages, banner ads, as well as avatars. It actually contains different images that are saved in one file. You may convert video to GIF for posting on blogs and other social media sites. You can also do this if you want a unique avatar that is different from others. GIF also has a smaller size compared to other animated files. Furthermore, it is compatible with most web browsers so it should display properly whatever browser you are using. There are different programs that you can use in order to do this. Some are easy to use, while others are more complicated. If you are a beginner, there are applications that you can try that would let you create a GIF file without a hassle. Here are some of the programs that you can try for your GIF conversion. Video Converter Studio is a professional program that enables users to convert audio and video file to any desired formats without lossing quality, such as MP3, AAC, MP4, AVI, WMV, GIF, etc. 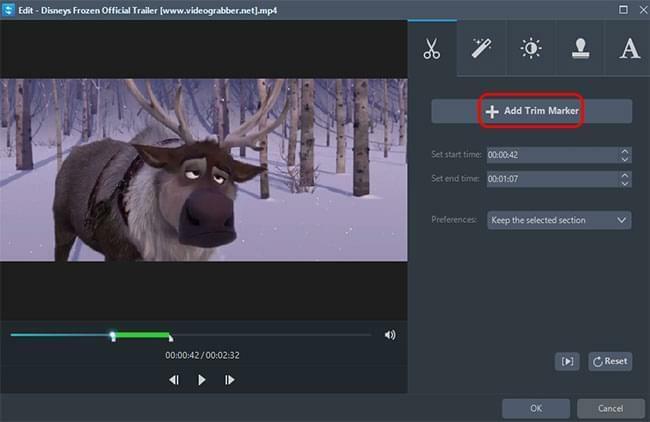 Apart from the converting function, it also features some amazing additional tools like video editor, downloader, screen recorder and MV maker. All of those tools are quite useful for your media life. With this program, you can easily convert video file to GIF format as well as do some editing jobs for the media file. You can follow the steps below to learn how to operate this application. Download and install the program by clicking the button above. Launch the program and add the video file into the program. Drop up the menu of “Profile” and choose “GIF” as the output format. If you have a background in Photoshop, then you can use this as a video to GIF converter. The process should be easy for you if you have experience with this application. However, if you never used it before or you are just starting to use it, converting videos into GIF files can be challenging. Furthermore, you need to have this software installed on your computer and it takes up space since this is not a small program. But if you want to try it for your GIF conversion, you may use videos with .MOV, .AVI, .MPG, .MPEG, or .MP4 format. To start, click File, Import, Video Frames to Layers, select the video you wish to convert and click Load. The Range to Import window will show up. Click from Beginning to End if you wish to use the whole video. Else, click Selected Range Online and choose the frames that you wish to include. 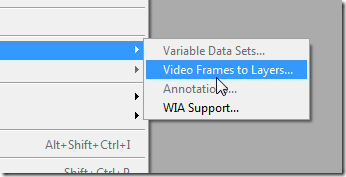 You can now start editing the frames using different tools including changing the image size, animation time, etc. Once done, you may save it to GIF by clicking on File, Save for Web and Devices, choosing GIF for the format and clicking Save. This can be used to convert video to GIF online. It does not require any installation, which is convenient as this saves time. You can upload a video or paste the URL of the video if it’s coming from another site. If using a URL, you need to sign up for an account, which is fast and free. However, you can only use 10 seconds of the video. If you want to remove the limit, you need to upgrade to a premium version. After creating your account, below are the steps on how to create GIF from video. Here is the final product. Paste the URL of the video or click the Upload Video button. Choose the settings of your video. Add text, crop, flip and type the title. Click Download Image to download the file. If your video is too long, it would have a bigger file size. You will not be able to trim the GIF animation if this is the case. 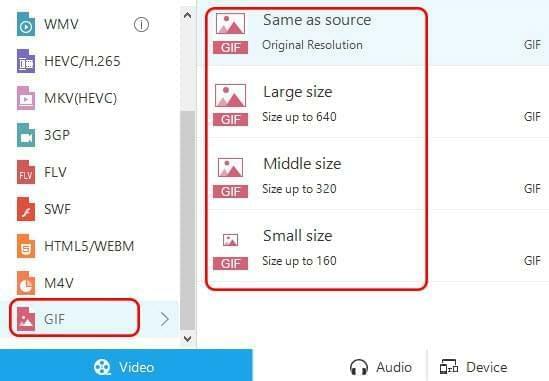 To make the conversion easier, whether you are using a free video to GIF converter or a premium one, it is recommended that you have your video trimmed first to the duration you like before converting it to GIF. This can be easily done with the use of Video Converter Studio. Download the video that you wish to use as GIF and play it once done. Click on Trim and select the start and end time of the part that you wish to use on your GIF. You can also crop and add effects by clicking the options. Click the OK button once finished and you can start using the given tools above to convert it to GIF file.